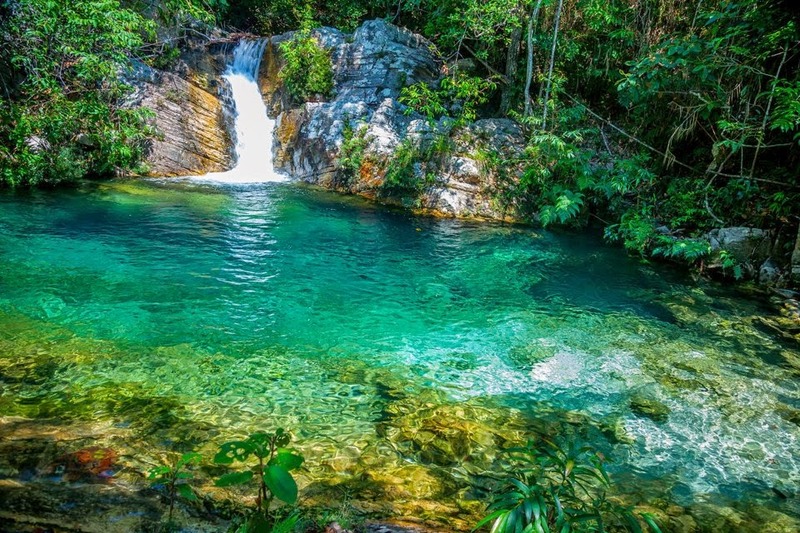 Emas National Park, Goiás, Brazil! 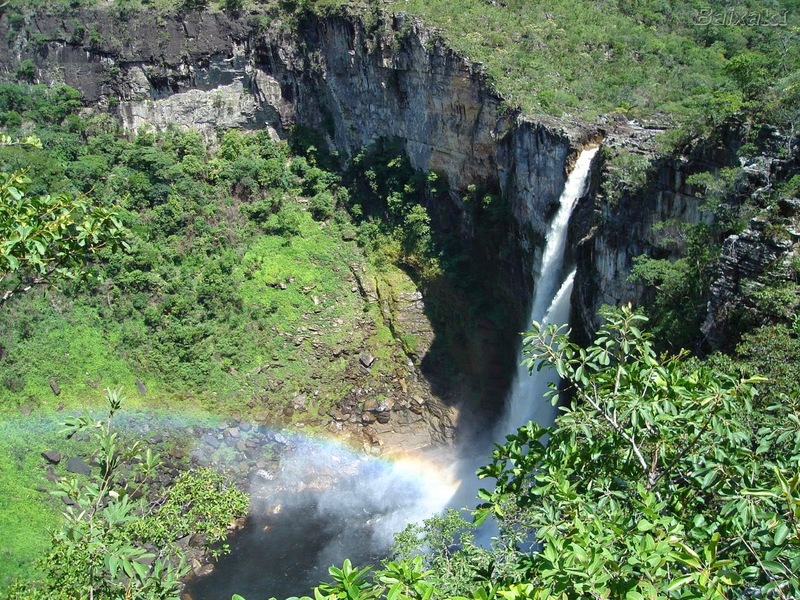 The Emas National Park is located between the states of Goiás and Mato Grosso do Sul in the Center-West Region of Brazil. 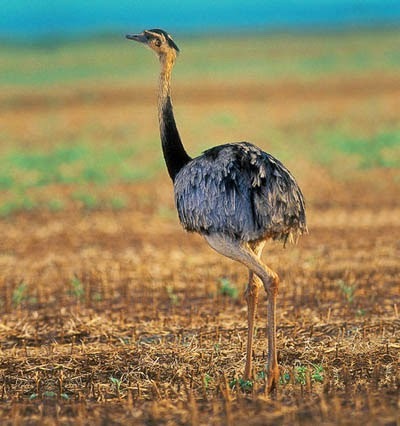 Literally meaning "rhea National Park". 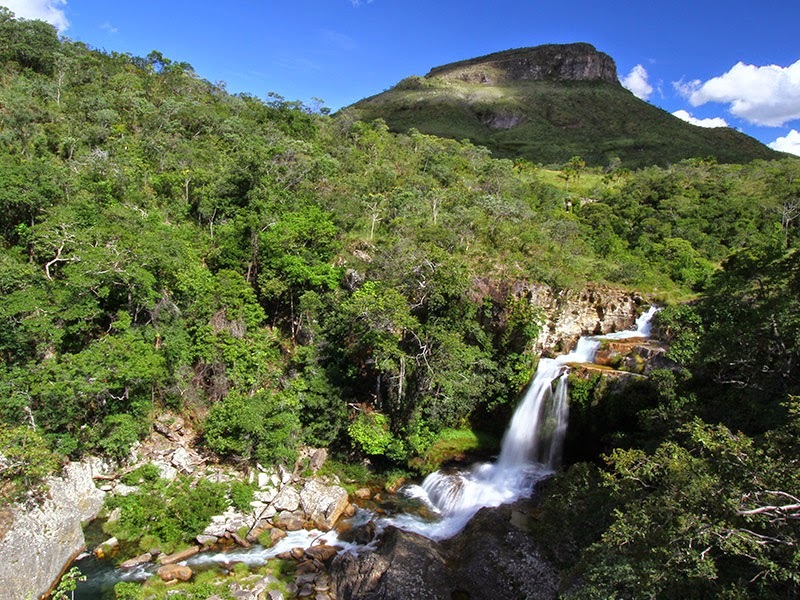 With an area of about 132 thousand hectares, covers part of the municipalities of Mineiros, Chapadão do Céu and Serranópolis in the State of Goiás, and Costa Rica, in the State of Mato Grosso do Sul. 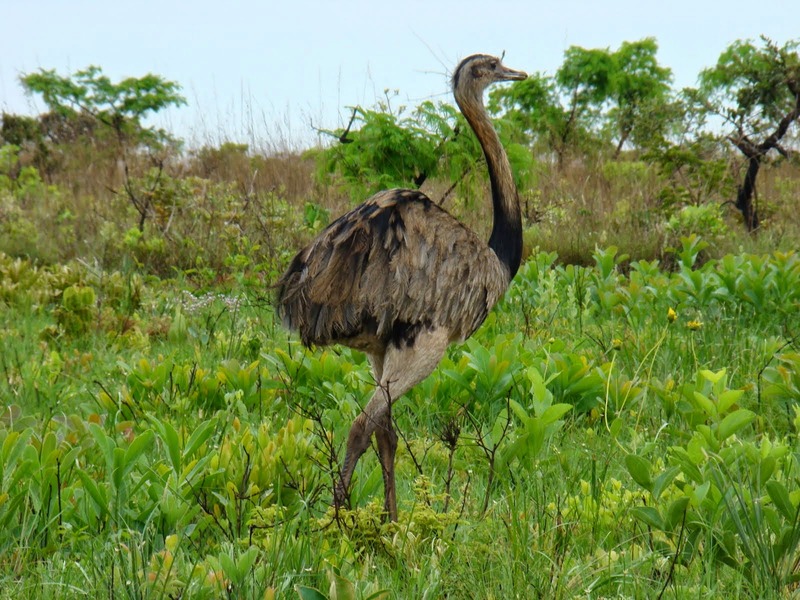 Due to its length, integrity of habitat, richness of fauna and presence of rare and threatened species, the reserve is one of the most important protected areas of the cerrado biome. 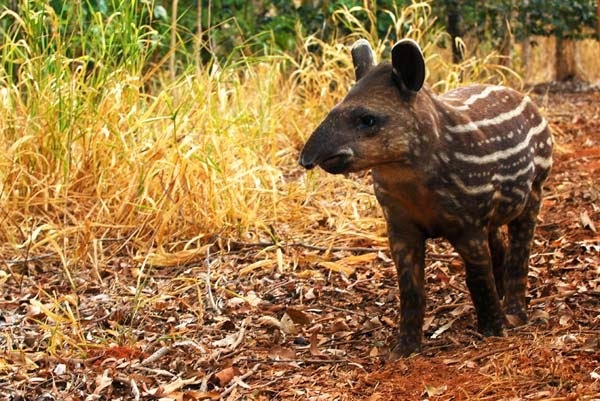 It has recently been included in the priority actions for biodiversity conservation in the Cerrado and Pantanal and a UNESCO World Heritage Site. At well over 1000 square kilometers of rolling grassy fields and patches of swamp forest, the park is home to a variety of large mammals, including puma, ocelot, collared peccary, white-lipped peccary, marsh deer, red brocket, gray brocket, black howler monkey, capybara, Maned wolf, Brazilian Tapir, and Giant Anteater, and it also shelters a number of threatened bird species, including the recently rediscovered Cone-Billed Tanager. But while the promise of Emas is indeed great, the bounty of the site highly dependent on season and luck, and access tightly controlled by the inclinations of a guide. 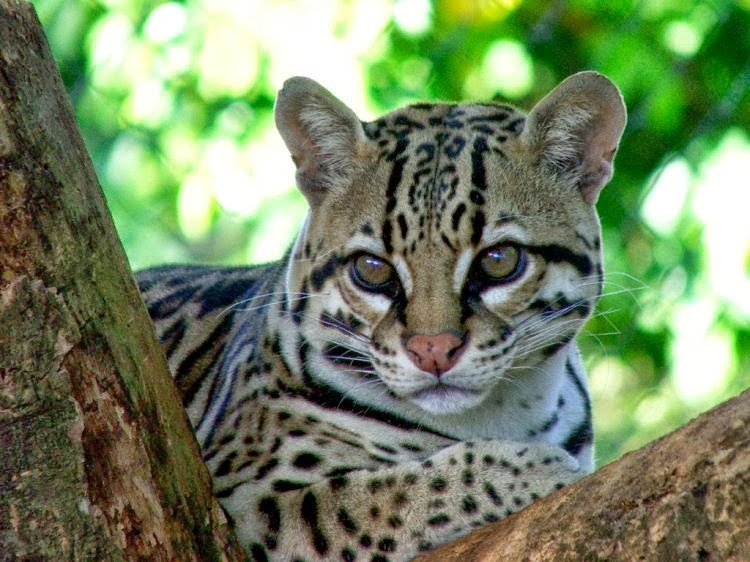 Emas National Park also holds a small jaguar population, perhaps consisting of about 10-12 animals. 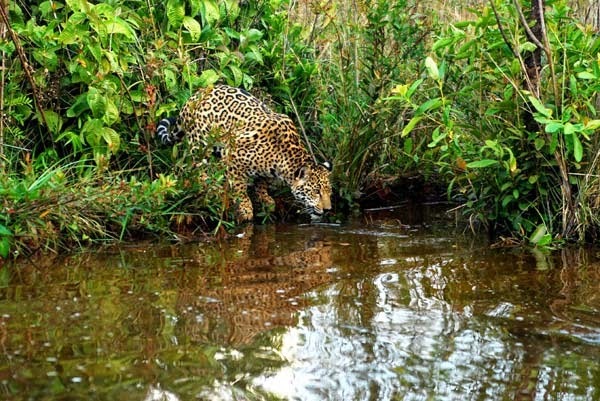 Only about 40% of the reserve is a good Jaguar habitat. 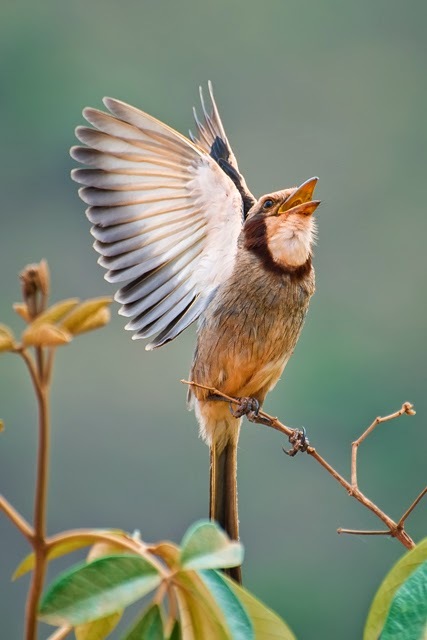 Cerrado is the biome that covers the sprawling Planalto Central, the central plains of Brazil. It consists of several different habitat types. So unique is Cerrado that several of the Portuguese words for the habitat types have been adapted to English. Grasslands, or campo, cover much of the region. 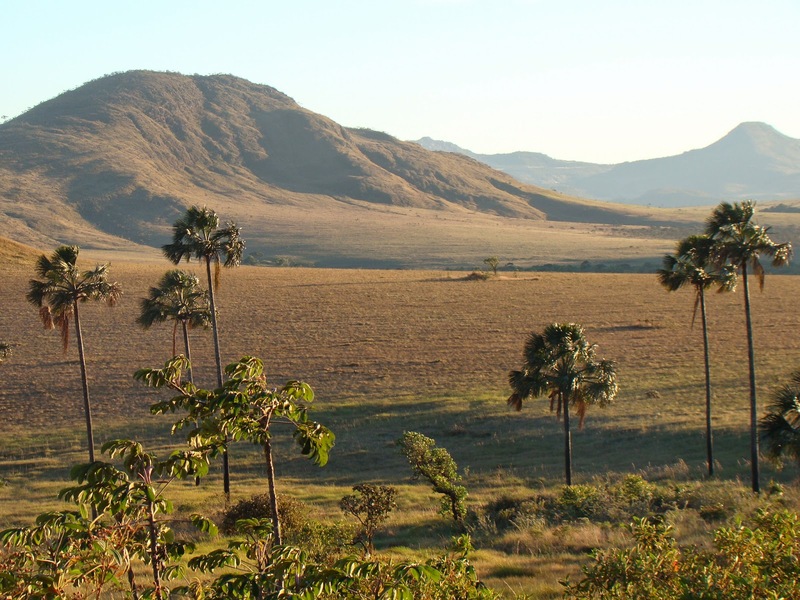 Campo sujo has shorter grass and sparse woody vegetation. Woodlands of short, twisted tree with waxy leaves and cork-like bark make up cerrado, not to be confused with Cerrado, the biome name. Gallery forests are moist forests that follow the watercourses. 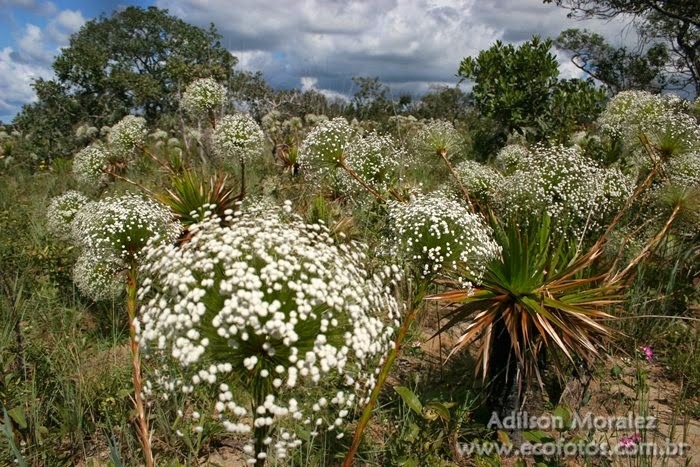 Some 90% of the plant and animal species of the Cerrado are found in the gallery forests. 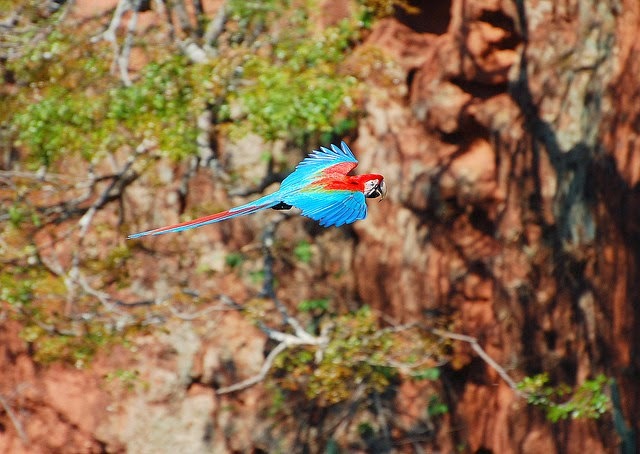 The park holds the greatest concentration of Blue-and-Yellow Macaws outside Amazonia, and blue-winged, red-shouldered and red-bellied Macaws can also be seen. The park headquarters building for scientists are visited daily by a pair of bare-faced currasows, white Woodpeckers, streamer-tailed Tyrants and other showy birds. 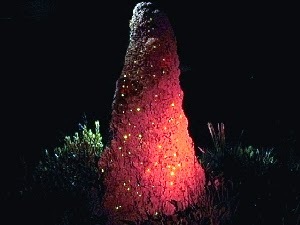 In the early stages of the rainy season the cupinzeiros (termites houses) perform the bio-luminescence phenomenon which consists in the irradiation of a blue greenish phosphorescent light, produced by small larvae stuck to the leafs in search for food. The result is a very beautiful night show. 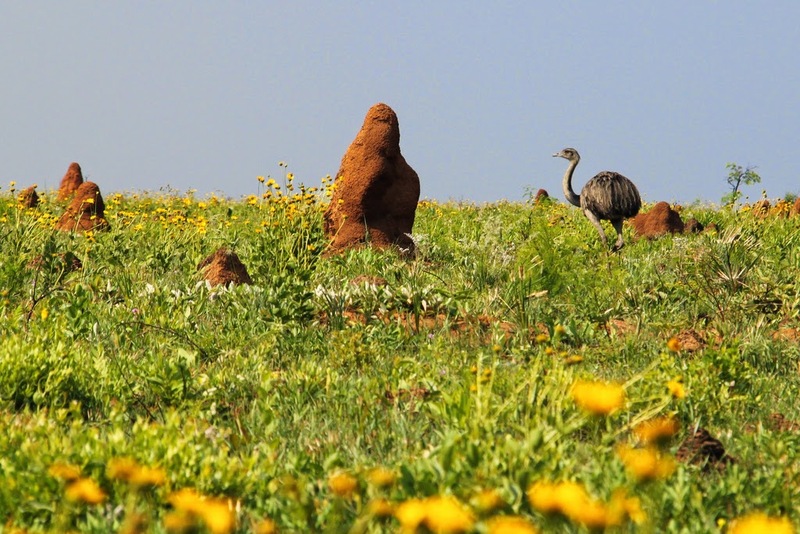 This park holds the largest concentration of cupinzeiros per square metre in the whole world. In about 25 million registered termites houses in preserved area, the fireflies were a sideshow, especially during spring nights. 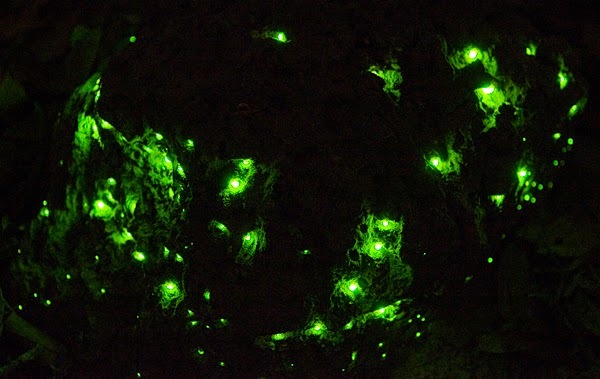 Between the holes dug in a kind of "natural building", insect larvae emit an intense greenish light and give a show to form different lighting points. 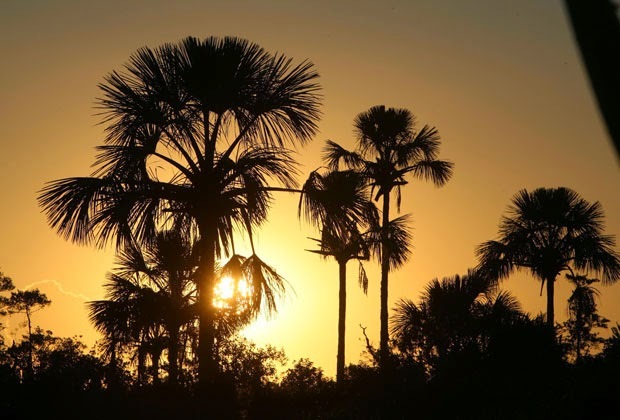 The Emas National Park is a place that requires different observation, attentive to detail, and use sensitivity to perceive the richness of life adjustments such as the Indaiá palm trees with trunks buried or trees with very thick bark to resist fire that selects life natural and at the same time makes everything grow again. For all this diversity, gets to be frustrating leave the park knowing that knew very little of what nature presents there. 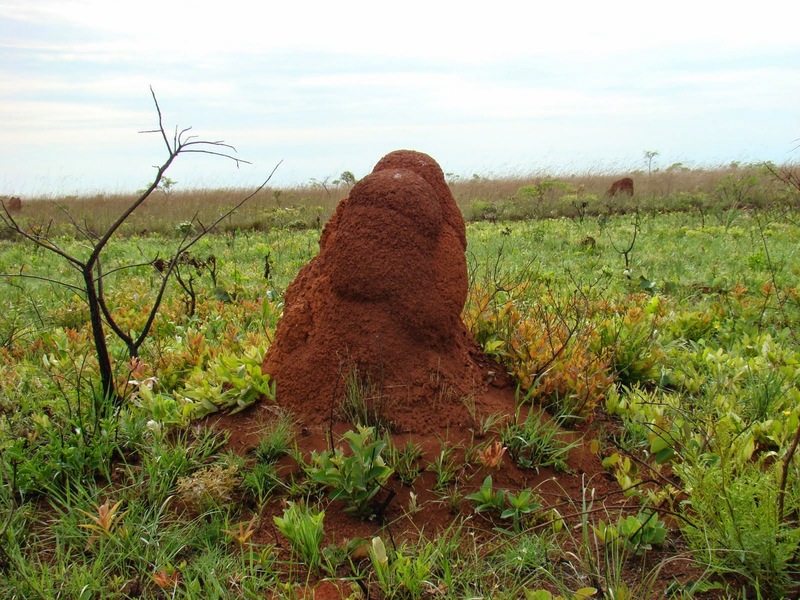 Even those who live on site and research about it, know they don't know the Cerrado, and not knowing is an exciting feature an exciting mystery. Visitation: With the payment of an entrance fee of R$ 6,00 (for local people) and R$13,00 for tourists, you can visit a restricted area of ​​the park without tracking guide. But the rides are more productive by hiring a good local guide who helps the tourist in the observation and interpretation of natural diversity. The municipal authorities inform the phones associations of guides. The Visitation and the need of the guide must be checked in advance, because of the impending change of management plan. 1. Interpretive trail: identification of animals by the tracks, feces and food consumed; identification of vegetation. 2. Motorized trail: by bus or car, for observation of animals hidden in the cerrado and those who do not have time to hide with a faster approach than in hiking. 3. 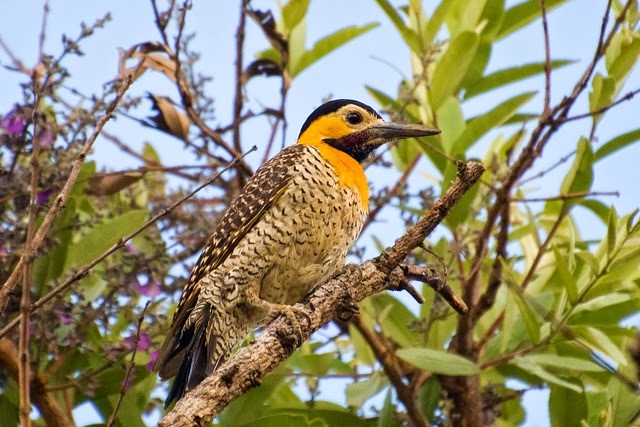 Hiking in the woods or field: where you can touch the nature, feel the way to see up close birds, lizards, armadillos, anteaters and other animals. 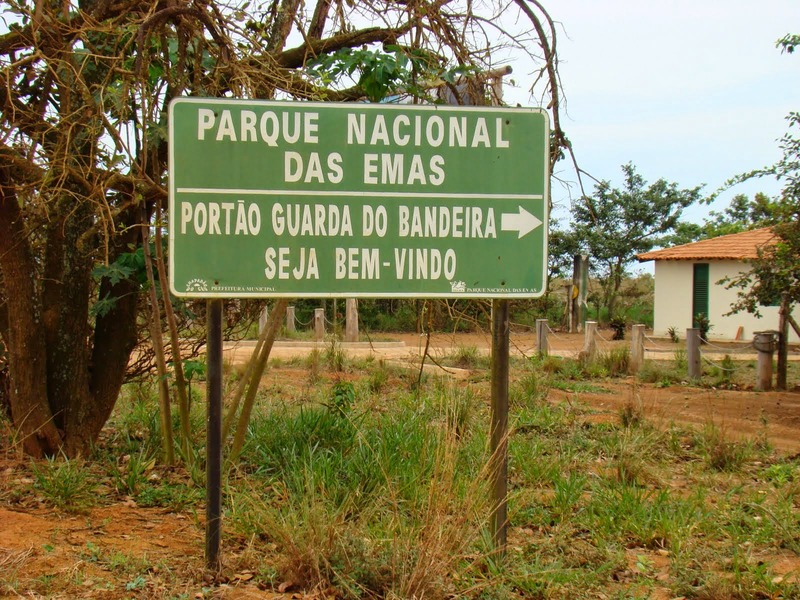 The trails at Parque das Emas are very extensive - some with more than 40 km, and must be traveled by car. Currently incursions walking is not allowed on some trails; overnight in the park is also not allowed, but the tourists have lodging structure in the park nearby farms and guesthouses. 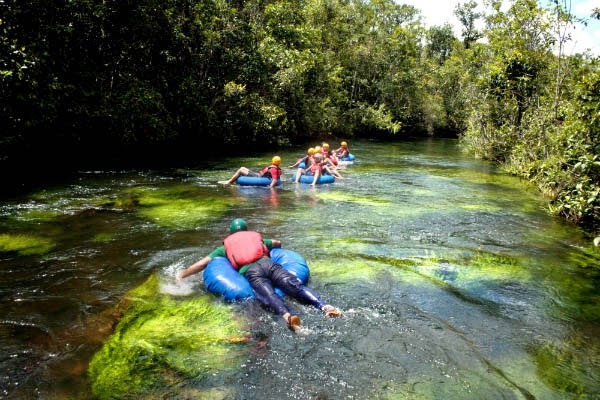 The Formoso River, and other rivers, provide conditions for canoeing and rafting outside the park boundaries. There are conservation areas outside the park that also deserve to be visited. 1. 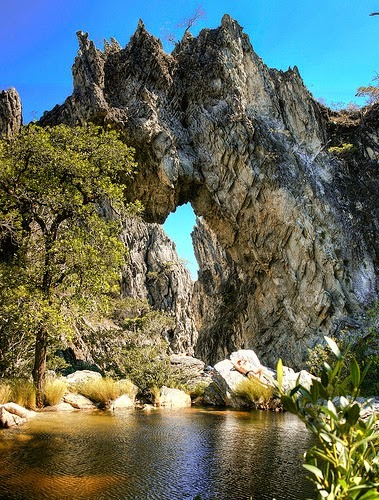 Chapada dos Veadeiros National Park is an ancient plateau with an estimated age of 1.8 billion years. 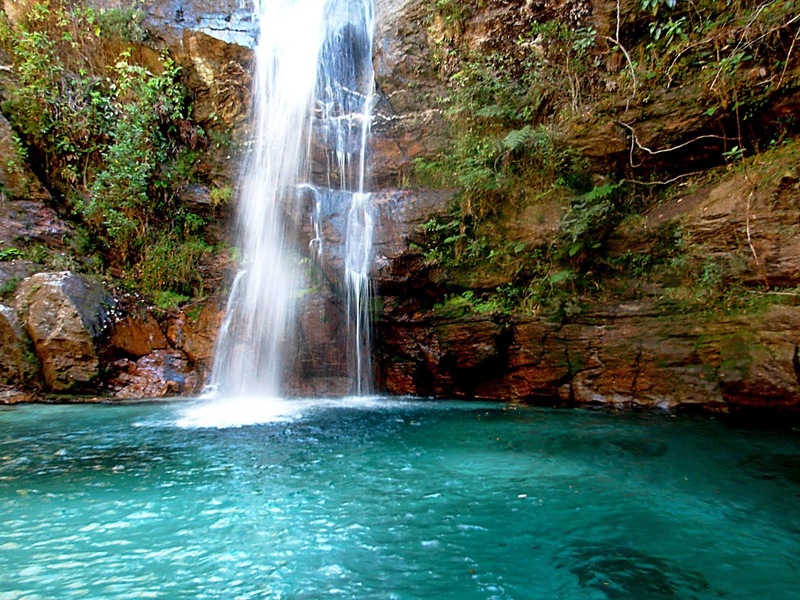 Located 2 ½ hours north of Brasilia, it has crystal clear rivers, waterfalls over 100 feet, trails and rocks walls. 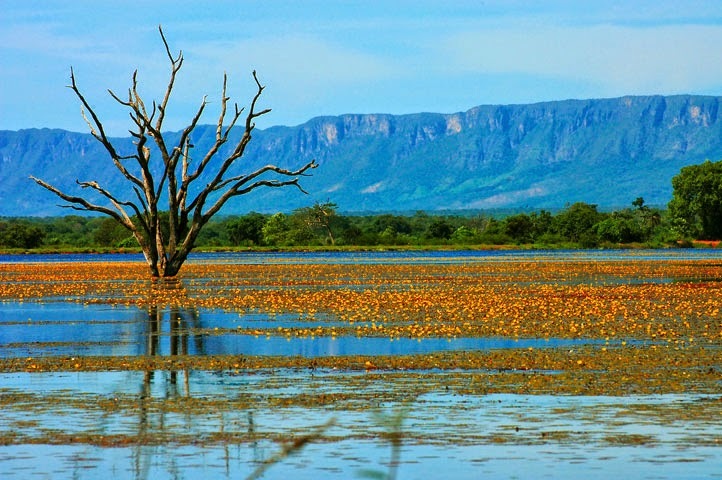 Based in the Brazilian State of Goias, the Park was created on January 11, 1961 by President Juscelino Kubitscheck, and listed as a World Heritage Site by UNESCO in 2001. 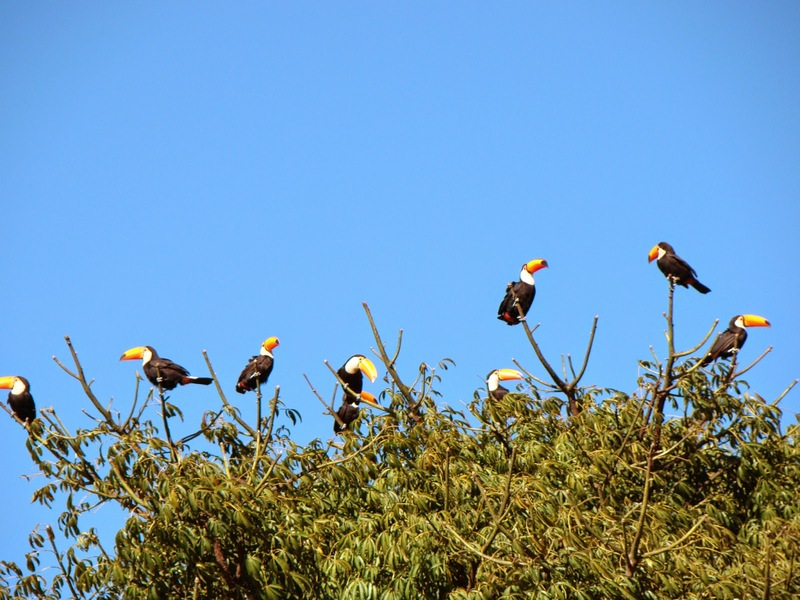 It occupies an area of 655 square kilometres and is maintained by Instituto Chico Mendez, of the Biodiversidade - ICMBIO. With altitudes between 600 and 1650 meters, it's the highest plain in Central Brazil. The highest point of the park and of the State of Goiás is Serra da Santana, at 1691 meters above sea level. Its rock formations are one of the oldest on the planet. There are quartz with outcrops of crystals. These rocks are exported and appreciated in Japan and England, where for some decades they were used for industrial work. Nowadays therapists and nature lovers seek energies and the power to cure from the crystals. The Chapada dos Veadeiros is called "Magnetic Heart" by standing on one of the largest concentrations of quartz crystals in the world! As if that were not enough, there's the fact that the Parallel 14, the same that runs through the city of Machu Pichu in Peru, also passes by, attracting fantastic stories about extraterrestrials and UFOs. 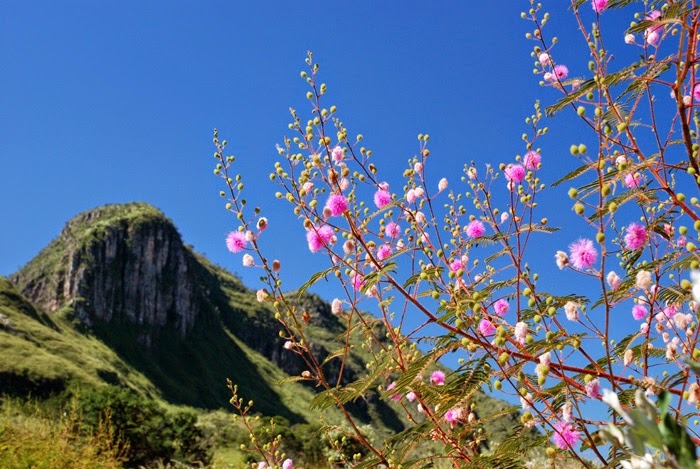 Mystical, esoteric, historians, adventurers and ecotourists live in perfect harmony in these cities, all attracted by the natural magic that surrounds the Chapada dos Veadeiros. Rumor has it that, according to NASA, the Chapada is Earth's brightest point as seen from space. Lying on a quartz crystal bed, it's said to reflect light like a mirror. 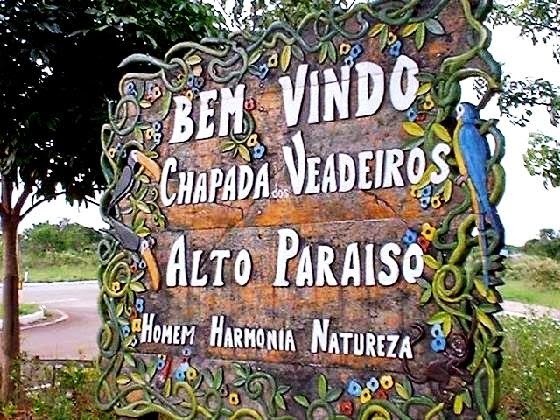 There are basically two places where you can stay when travelling to Chapada dos Veadeiros: Alto Paraíso and São Jorge. 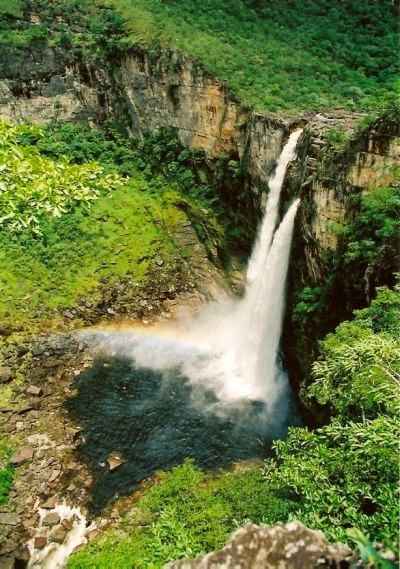 There are no regular flights to the Chapada region. Flyers usually land in Brasilia (frequent flights from everywhere in Brazil) then travel overland to one of the gateway towns.There are buses departing from Brasília to Alto Paraíso. São Jorge is a small village right in front of the National Park's entrance. It lacks infrastructure like asphalt roads and public illumination, the intent is to leave the region around the park pretty much as it is, in order not to disturb it's fauna and flora. Even though it might sound uncomfortable for some, that's what makes the small village special. 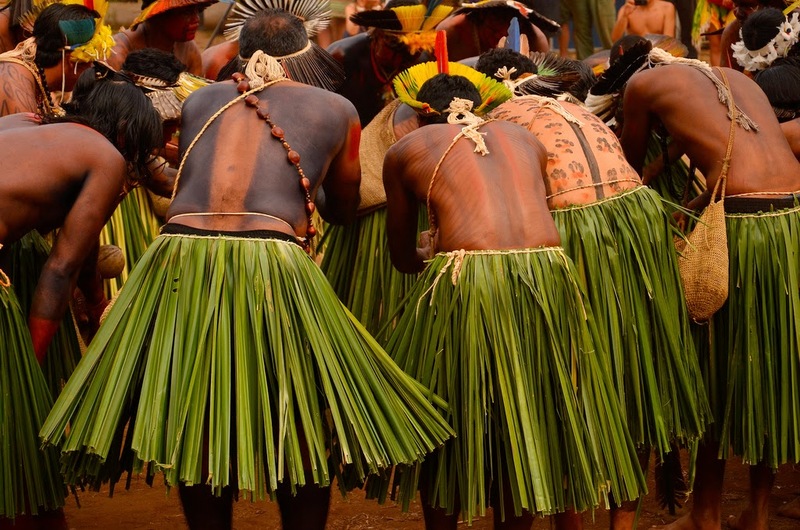 There you really feel you're somewhere mankind hasn't dominated yet, and there you can really experience Chapada. 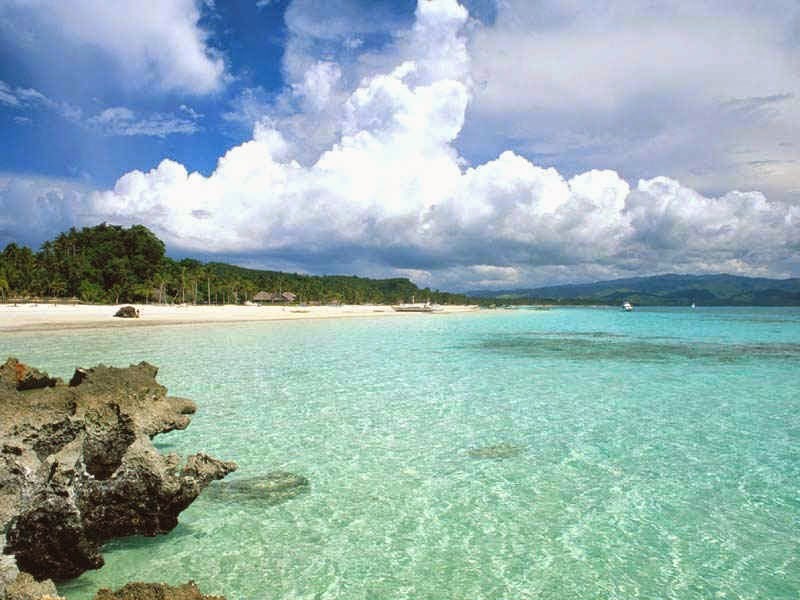 Alto Paraíso is a small city which is about 20km (12.4 miles) from the National Park's entrance. Differently from São Jorge, it is a city with normal public illumination, asphalt roads and so on. 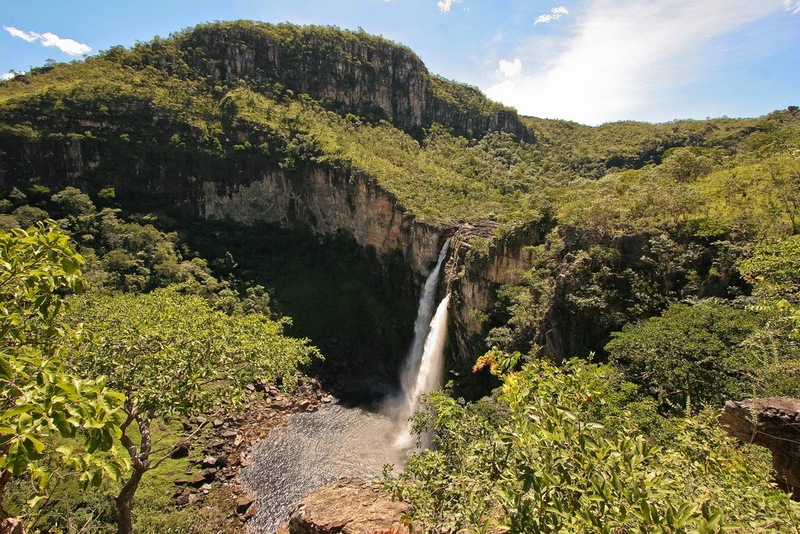 You will find there more options for sleeping and eating.The city of Alto Paraiso de Goias, the main gateway to the Chapada, is 230km (143 miles) from Brasilia and it is also fairly close to Goiania (capital of the Goiás state). 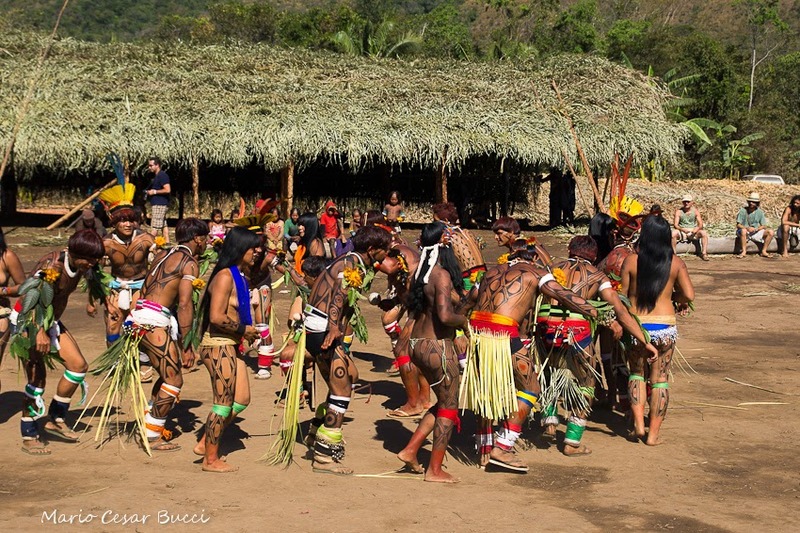 For every attraction there will be an admission fee of around R$ 10,00. 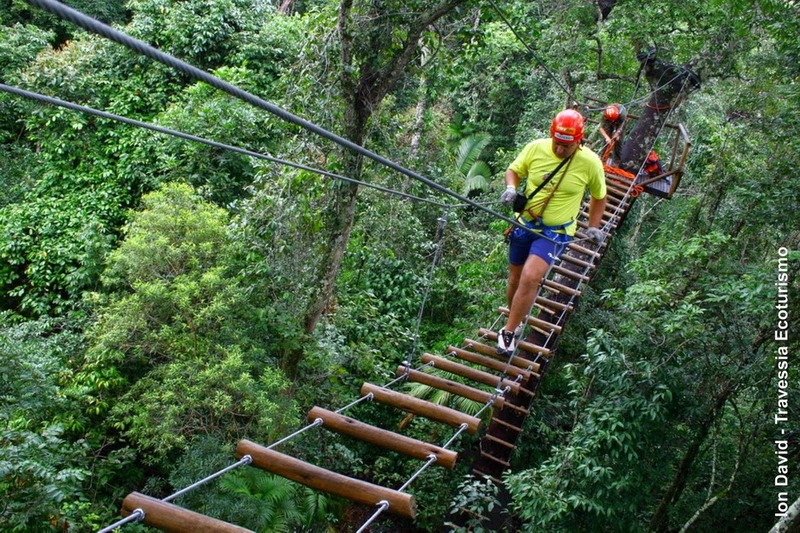 For visiting the park you also have to pay the guide, which will take you through the park and explain you interesting things about the fauna and flora. Whatever the purpose of the trip, in your backpack can not miss: repellent, sunscreen, light clothing (for the day) and warm (for night), water, light food, flashlight, swimwear, shoes, cap, rain coat, first aid kit, camera and great disposition. 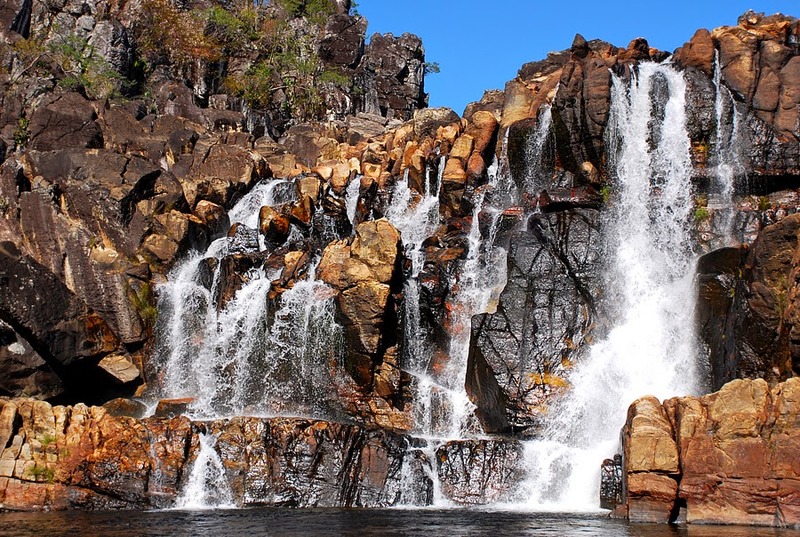 The walk and waterfall baths are the main attractions of the National Park of Chapada. There are only two trails that are open to visitors at the National Park: Roadmap of the hikes (capacity 250 people) and the Roadmap of the Canyons (200 people). It must accompany by a guide, which costs about R$ 100, equivalent to US$45.00 (this value is the group of up to 10 people). Get Around: There are two options to get around Chapada dos Veadeiros: get a car, or hitchhike (not recommendable, but an option). The attractions are not close to each other, which makes it impossible to just walk, so, don't go there without a car, unless you're okay with hitchhiking. 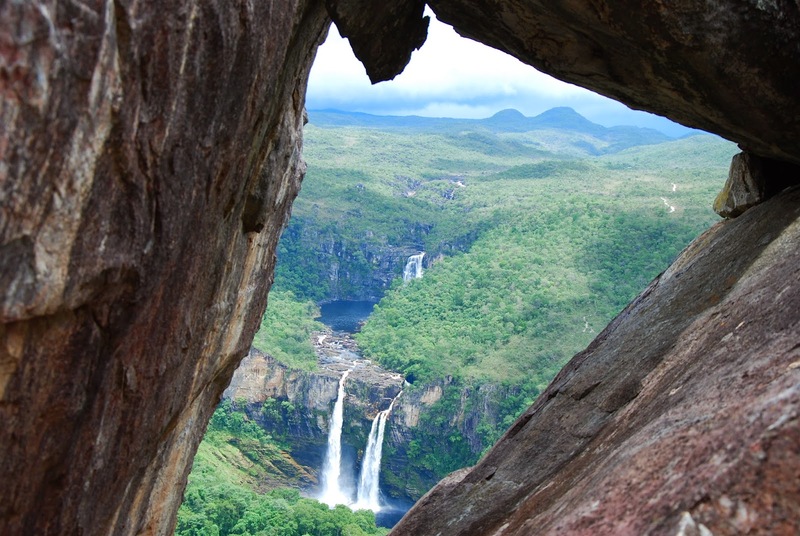 From São Jorge it is very easy to get around, as the park and the main waterfalls are close (10-20 minutes by car). From Alto Paraíso it is a little bit more distant, but still very easy and well indicated. Note down the names of the waterfalls you wish to see and take it with you (it will be difficult to find English speakers there). People there are very friendly and will be very happy to help you find the place. The Chapada region is also a magnet for mystics attracted by the alleged properties of the its crystal soil and rumored UFO appearances. WHEN TO GO: All year. 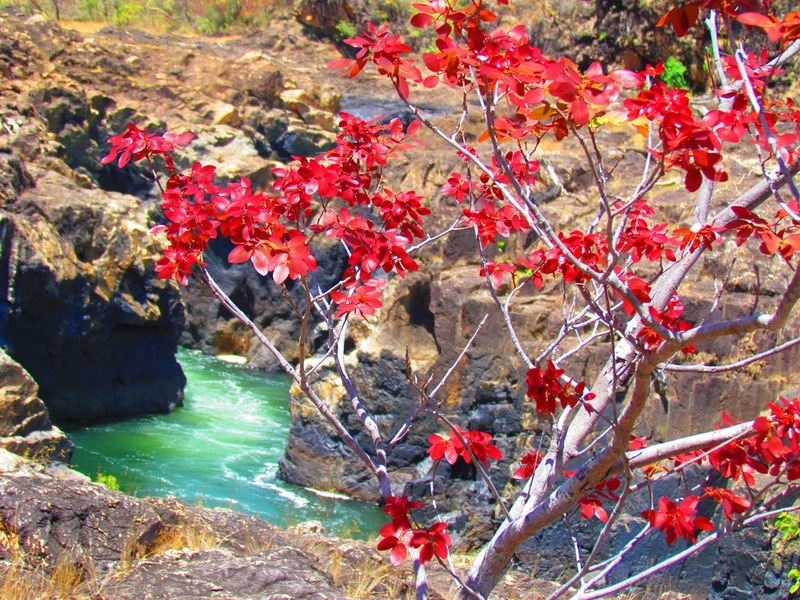 During the dry season, from April to September, the volume of water in the waterfalls decreases. May is the most colorful and July, the busiest time. 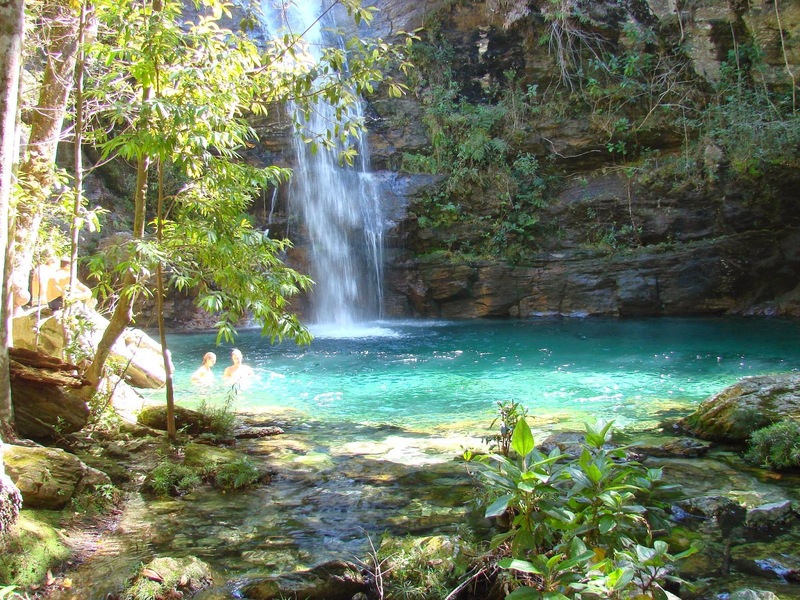 Chapada dos Veadeiros natural pool, it's called beach. Valley of The Moon: the formations resemble a lunar landscape with caves and craters permeated with pools carved by the Rio San Miguel. The trail is about 900 meters and is easy to level, but look up a guide.The Moon Valley is one of the most unusual postcards of the region. 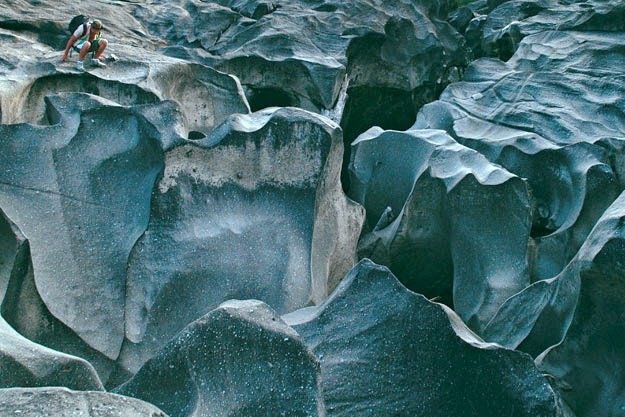 Its stones, gray, were carved by water forming a mysterious and beautiful canyon. Watch in this video all the beauty and culture of the host city, Manaus‬. The Brazil like you never seen it before. From the sky to the jungle to the Amazon and the growing city!